On January 18, 1734, German physiologist Caspar Friedrich Wolff was born. He is recognized as one of the founders of embryology. 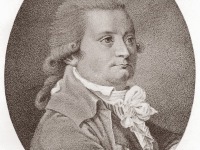 In Theoria Generationis (1759) he first wrote an epigenetic theory of development: that the organs of living things take shape gradually from non-specific tissue. Caspar Friedrich Wolff was born in Berlin in 1734 as the son of master tailor Johann Wolff and his wife Anna Sophie Wolff née Stiebeler. Almost nothing is known about his youth, only that in 1753 at the age of 19 he attended the Collegium medico-chirurgicum in Berlin, the military medical training centre of the Royal Academy of Sciences in Berlin. Here various full members of the Academy taught the students and offered courses in surgery, anatomy, microscopy, chemistry and botany. Among them were some of the best known researchers of the time, such as Peter Simon Pallas, Johann Friedrich Meckel, Johann Gottlieb Gleditsch, Johann Nathanael Lieberkühn and Johann Heinrich Pott. Before Wolff’s time as a student, Pierre-Louis Moreau de Maupertuis was the director of the academy, who was not only known for an expedition to Lapland to measure degrees at the North Pole, but also for his writings on the development of germs in animals. 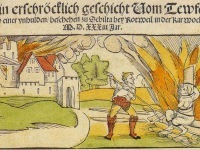 The scientist took part in several expeditions and researched on the inheritance of abnormities. He performed numerous observations and became famous through his work, which inspired the young Wolff. He finished his doctoral thesis ‘Theoria Generationis‘ in 1759 in Halle, Germany. 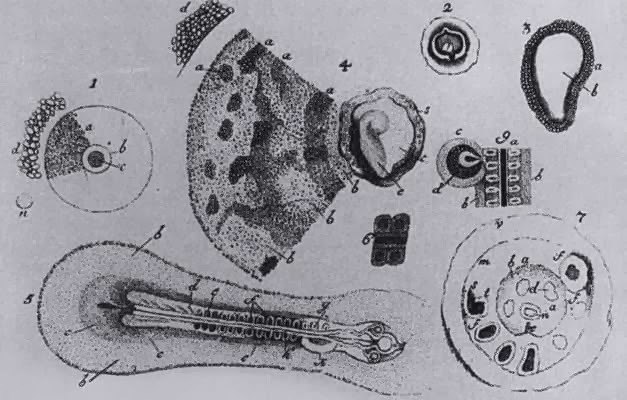 In it, Wolff demonstrated the embryonic development of plants and animals through microscopic observations. This work became famous in the scientific community mostly for its incredibly accurate drawings. This masterpiece consists of three major parts. The first describes the development of small cells to complex plants. The second part is a description of the embryonic development of a chicken that starts out as egg yolk and ends as a fully grown chick. Wolff illustrated each phase of development in detail and pointed out many parallel steps in the development of plants and animals. One of the most notable scientists in the field back then was Albrecht von Haller, who supported preformationism . He openly declared Wolff’s work as very important for the scientific community, but rejected his epigenetic theory. 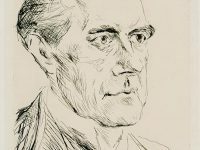 After Wolff received his doctorate, he sought employment as an academic teacher and applied to various universities, including those in Bützow and Rinteln. He published another version of his dissertation in 1764, which was written in German and in simpler words than his previous works. He justified the epigenetic theory once more and described certain aspects of his remarkable theory a lot more in detail. Towards the end of the year the mathematician Leonhard Euler, who was a good friend of Maupertuis and deputy director of the Berlin Academy of Sciences, recommended Wolff for a professorship at St Petersburg University. However, since Prussia and Russia were at war at the time, Wolff was not yet called to St Petersburg at that time. Instead he served from 1761 to 1763, until the end of the Seven Years’ War, as a military doctor in the field hospital in Breslau for the Prussian army. 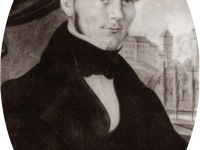 Here he was freed from field service by the chief field doctor Christian Andreas Cothenius on the basis of his knowledge and was to give lectures on anatomy to the field wound doctors. Three years later, Wolff moved to Saint Petersburg, where he accepted a teaching position, but published no further work on the epigenetic theory. In Saint Petersburg, his work and responsibilities were mainly in the administration of the Anatomical Cabinet, the Anatomical Theatre and the Botanical Garden of the Academy of Sciences. However, his scientific work in Russia stayed rather unnoticed in Europe, while he followed the European discussions on epigenesis in depth. Caspar Friedrich Wolff was the anatomist responsible for dissecting corpses found by the police and was supposed to show the circumstances of death. He used this work for anatomical studies and compared the results with those obtained when dissecting dead lions and tigers from the courtly zoo. Furthermore, he examined anatomical malformations (deformities, at his time “Monstra”), which were present in the anatomical collection as alcohol preparations and which were made available to him as fresh preparations by the imperial order of the doctors of the country for the collection. Wolff not only worked scientifically on the specimens, he also tried to grasp the aesthetics of anatomy. Caspar Friedrich Wolff passed away on February 22, 1794. Wolff’s work had a great influence on scientific thought in the 18th century, even though many claimed his research to be too far away from the christian thought and criticized his ideas. Before him, many scientists opposed the theory of preformationism, but he was the first to bring up a completely new alternative scientific theory. At yovisto academic video search, you may enjoy a video lecture on Human Embryology by Professor Steven Fink.